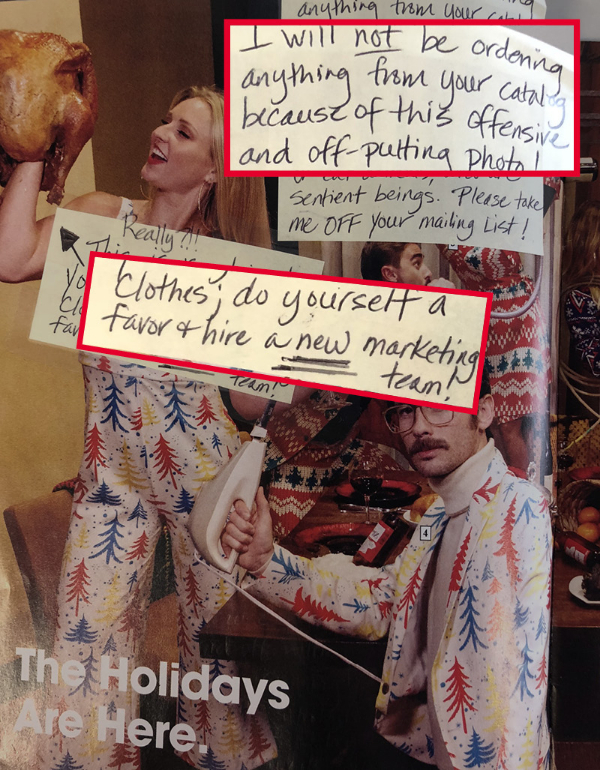 We owe you all an apology for our Holiday catalog. 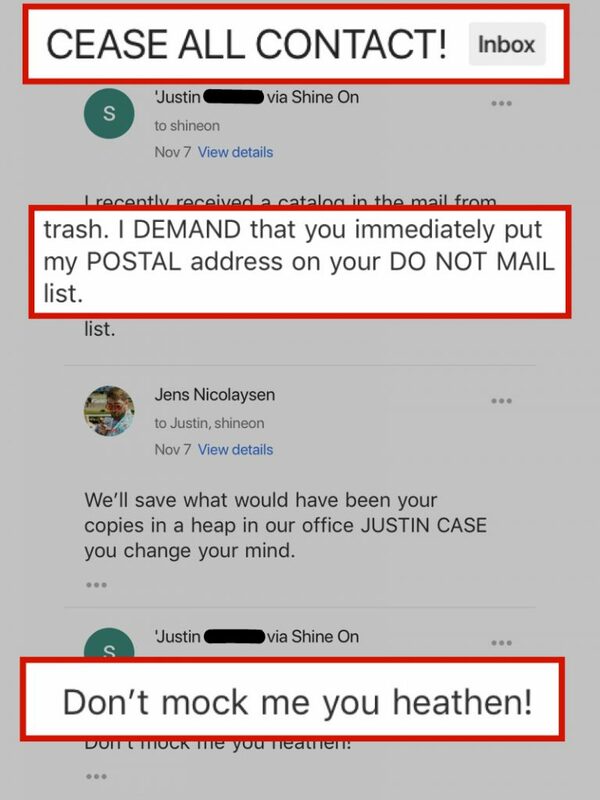 We get it, some of you are upset about having a few pieces of paper sent to your mailbox. We don’t need a publicist to know a crisis like this requires a swift, heartfelt apology. Naturally, we took a page right out of BP’s playbook. Okay, our way of stuffing the turkey may have been a little too progressive. We apologize for not getting the turkey dinner scene approved by PETA before going to print. We’re sorry you had to find this catalog under your 4th grader’s mattress. No parent should ever have to give their kid the “talk” until they’re at least 10. Hmmm. We’ll issue you an apology. HOWEVER, if you think this is “that,” we think you should know there’s a whole ‘nother world out there that makes this catalog look like a Hallmark card. Nope. Not today. 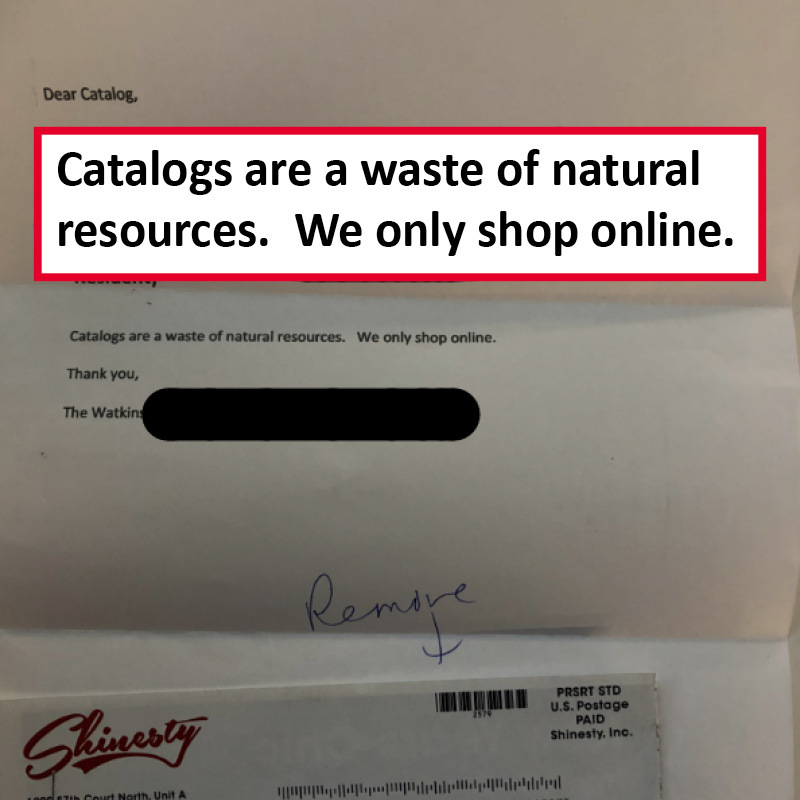 We aren’t sure if you’re trying to be ironic but you will be awarded zero apologies on account of physically mailing an unsubscribe request to an online-only store. Instead, we’ve purchased a carbon offset credit in your family’s name. It’s good for the next 1,000 lbs of emissions y’all throw off, which should be plenty to cover physically unsubscribing yourself from other catalogs you’re bound to get this year. 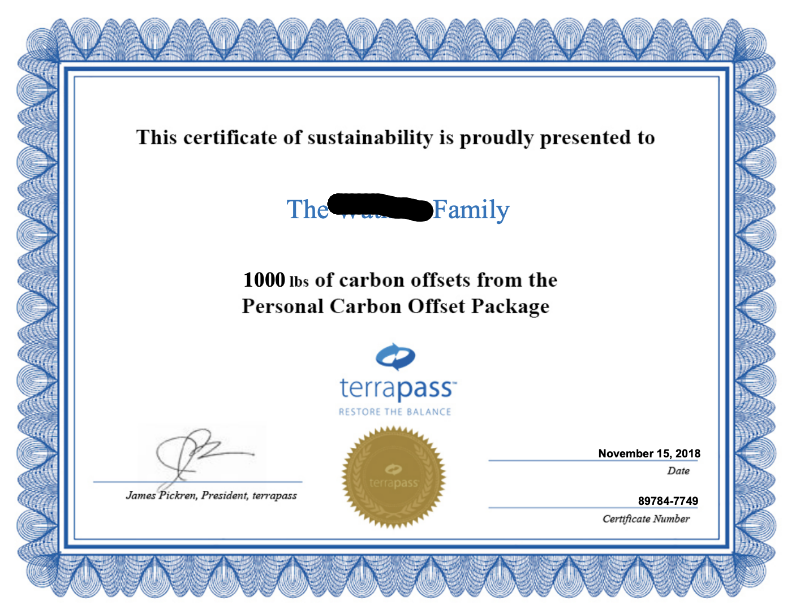 Offset your own emissions with TerraPass. Apologies in advance since we hate to knock an eBay hustle, but this is a bold-faced lie. Unread?! As you’ve seen, even readers who hate us had the decency to read a page or two. Instead of helping this liar out, here’s a link to get our catalogs free of charge. But seriously, we made this catalog to bring a few laughs to your holiday shenanigans and remind ourselves to not take the holidays too seriously. And, again, we’re sorry we’re not sorry that didn’t go over well. If I had not received your catalog I would never had known just how fun the Holidays could be for our annual retreat. Prudes aside, it is unfortunate a few tweens saw the catalog, but I grantee you this is not the most suggestive images they see. Do they watch TV much, go out in public ever or have a cell phone? But it is honorable apologize, remove them and perhaps tone down the print message. That said, I LOVE YOUR CATALOG and sense of humor. My girlfriend and I spent an hour on the phone laughing our a$$es off while plotting who would wear what at our gathering. We are already looking into the Winter Ski attire! I’m offended and challenge you to fisticuffs. If I win, I get something out of your catalog. Knuckle up. 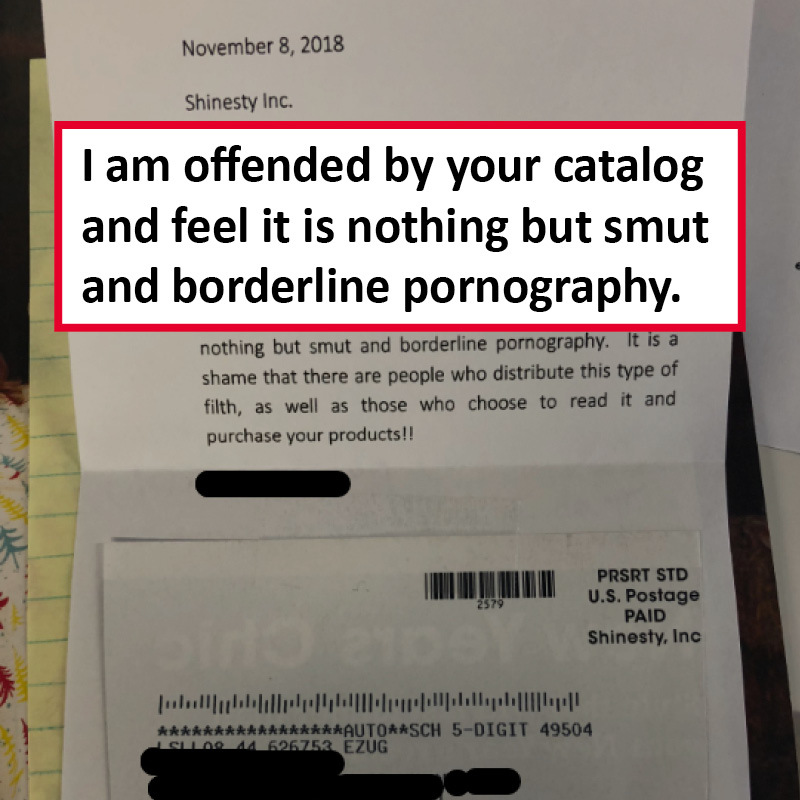 I am completely offended, that I did not receive this catalog! This is quite possibly the best thing I’ve read in a good long while. And I’ve read The Catcher in the Rye. This just made me want to have a look see at the holiday catalog even more. Loved it. Will definitely be purchasing a few pairs of underwear for my fiancé because of this. I feel it’s our duty as Shinesty fans to assist in the crusade to cradle a million balls. Who knows, maybe he will want a subscription because let’s all be honest here, who doesn’t want their balls cradled ever so softly? More power to you Shinesty, your ads and products always put a smile on my face. Stay rad my friends. Can I still receive a copy? I think my Grandma would really like something in plaid. Keep doing what you do! I’d love to have as much fun as y’all at a job. My catalog is missing….better go check in my 13 year old sons room! Carry on! p.s. my husband really enjoys his ball hammocks in the mail each month. The only apology I need is sorry we didn’t provide you a taser with the American flag blazer. The ladies love that blazer, my wife does not. Looking forward to my next catalog!!! So yeah, I guess that’s all I got. This is bloody brilliant, Shinesty!!!! I didn’t realize that one could treat snail mail like an email and “unsubscribe”. I am now going to do such that and demand an apology from every sender of piece-mail I receive unwarranted. How dare anyone try to market their product through such ancient methods. I expect such future communications and deliveries be executed through teleportation. Oh, and if you think this applies to a Victoria Secret catalog, you’re mistaken. That’s acceptable. Will you have more of the sold out sizes of the cream trees dresses? Hmmm,I love your every product so much!You guys are very attentively.